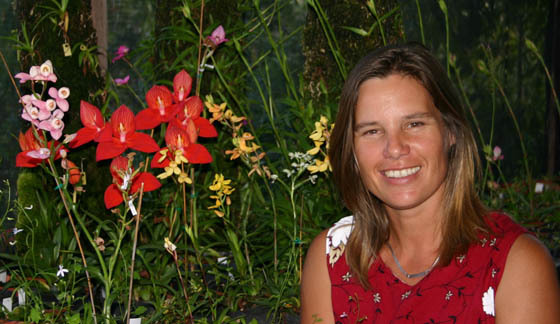 Hildegard Crous is a qualified horticulturist who has worked at the world renowned Kirstenbosch Botanical Gardens for 10 years with a special interest in Proteas and orchids. She lives in Barrydale on Route 62, situated on the borderline of the Fynbos and Karoo vegetation regions. Hildegard offers guided walks in and around Barrydale. Although the walks are botanically orientated, they are designed so that the any nature loving person will enjoy them. All walks are conducted in either English or German and are available Sundays to Fridays.